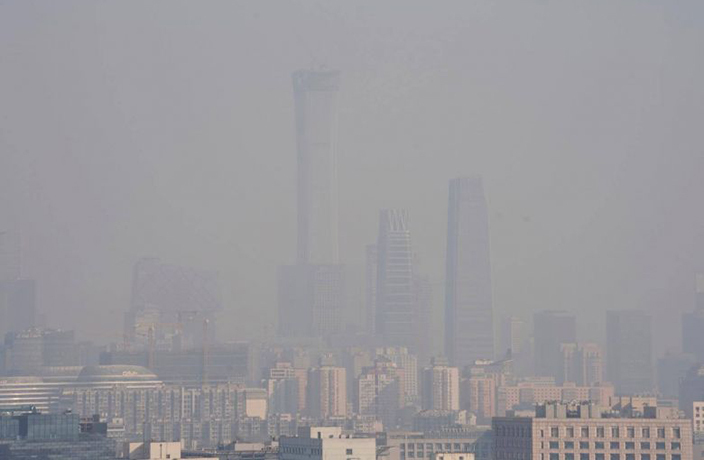 London residents can finally get the chance to taste Beijing air. While much of the West and Europe have been stuck with tasteless, bland air for decades, Londoners can now experience what they’ve been missing out on for so long. 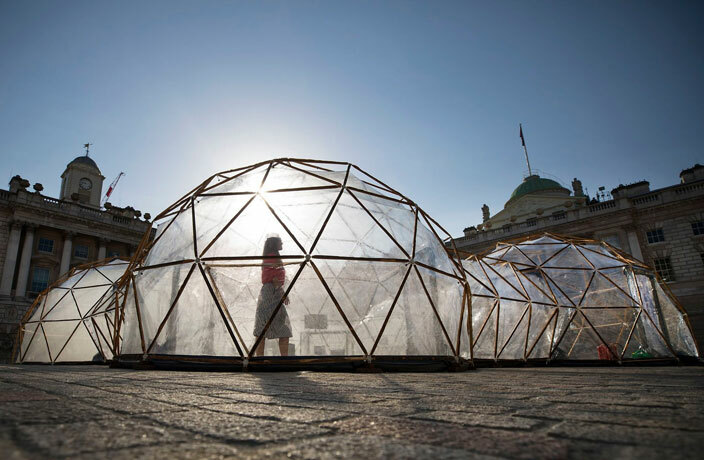 Visitors to Somerset House in Covent Garden can experience British artist Michael Pinsky’s ‘Pollution Pods,’ as reported by the Guardian. The art installation is a series of five clear pods that let guests experience Michael Pinsky’s interpretation of air from five locations around the world. On the air tasting menu – as we’re calling it – is a full range of airs. For the aperitif is London’s ‘Living Diesel’ while for a starter is New Delhi air with hints of "smelly old cars and industry." Thankfully, after the starter is the palette cleanser of air from the pristine Norwegian peninsular of Tautra Island. For mains, of course, is the Beijing smog. A classic air dish, however, as with Peking Duck, we would be worried about how authentic the taste is when made outside the city. To finish, guests get a real treat. Sao Paulo air with "eye-watering" ethanol is certainly a memorable way to round off the experience. Each of the five domes are climatically controlled to emulate the temperature, air quality and fragrance of each location. The aim was to highlight the differences in the quality of air from around the world and how human activity adversely affects the air quality. The work, which was commissioned by the Norwegian University of Science at technology and Climart, carries a warning that the environment "may not be suitable" for babies and children or those with respiratory conditions. While poor air conditions may be a walk in park for us leather-lunged Beijingers, the Guardian stated that guests were sent running for the fresh Norwegian air after each visit to the Beijing, New Delhi or Sao Paulo pods. Talking to the Guardian, Pinsky stated that he wanted people to think about how consumerism in the West was leading to heavy industry in China and India and as a result, how that consumerism was leading to problems with air quality. Pinsky also stated that the air guests would be experiencing was his estimation of the real air. The 'Living Diesel' for London was based on the fact that most of the air pollution in London comes from vehicles. While Stephanie Pilling, a spokeswoman for Somerset House, revealed that the air approximations that Pinsky used came from real scientific data and his own visits to the specific places. If Pinsky stay tuned to That’s Beijing he would’ve known that he could have imported cans of Beijing’s delicious air directly from Plastered 8 and could’ve saved himself a whole lot of time. The latest bout of pollution will hover over the city from Monday until Wednesday. Orange alerts are issued when the AQI is expected to exceed 200 for three consecutive days, with one of those days surpassing 300. An orange alert is issued when the AQI is predicted to be above 200 for three consecutive days, with one of those days being over 300.